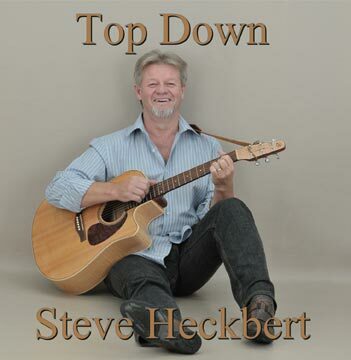 Steve Heckbert will release his new CD, Top Down, at the 1st Annual Shadbangers Ball on July 27, 2012 from 7 – 10 pm at the Rodd Miramichi. It has been 30 years since the release of his first album Bottoms Up, in 1982, with the original Shadbangers band. After travelling the world, Miramichi’s Steve Heckbert has returned to record a collection of new original songs that reflect a variety of stories and events – most with Miramichi themes. 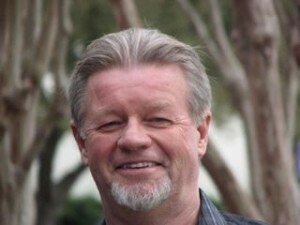 Steve, who currently lives in Houston, Texas, has been working over the last year with Packin’ Shed Sound Studio, where owner Jim MacDonald has assembled some of the very best in Miramichi talent to record the stories that only Steve can tell. Steve is the quintessential Miramichi storyteller who spins yarns with his songs that are derived from the original style of the legendary Miramichi songwriters and storytellers from the time of the lumber camps – with a toe-tapping tempo. This much-awaited second album showcases a wealth of Miramichi musicians, several of whom appeared on Steve’s first recording in 1982. The Shadbangers of 2012 include Jim MacDonald, Aubrey Stewart, Don Leblanc, Paul and Stephen Lifches, Carter Dickson, Jimmy Arsenault, Chris Larsen, Shaun O’Reilly, Johnny Aubey, Bob Ferguson, Connie Doucet, Paul McGraw, Alex Baisley, Rob Currie – and a fishwife who prefers to remain anonymous. Steve’s first album in 30 years. In true Steve Heckbert fashion, the release of Top Down will highlight the inaugural Shadbangers Ball – a new mid-summer showcase of lively, original Miramichi music. The Shadbangers Ball will be an evening of rekindled friendships, wicked humour, and great music that will feature Steve and the 2012 Shadbangers, performing songs from the new recording, favourites from Bottoms Up, and new songs planned for additional recordings to come. The plan is to have this festive event recur each summer as a fun focus for resident and homecoming Miramichiers. With an abundant songbook of new tunes written over the past 30 years, Steve is launching Top Down as the first of a trilogy of new recording projects that are planned for the coming two to three years. For more information, check out www.steveheckbert.com. Saltwater Sounds, 1738 Water Street in Chatham, Miramichi, telephone (506) 773-8010, or email music@SaltwaterSounds.com. This is a syndicated post. You can view the original post here: Miramichi’s Steve Heckbert Releases 1st Album in 30 Years at Shadbangers Ball.